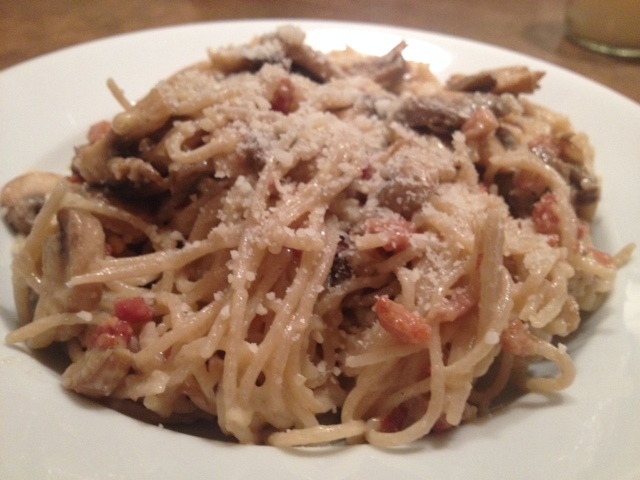 Brown Rice Spaghetti With Mushrooms, Pancetta, Egg & Parmesan Cheese. 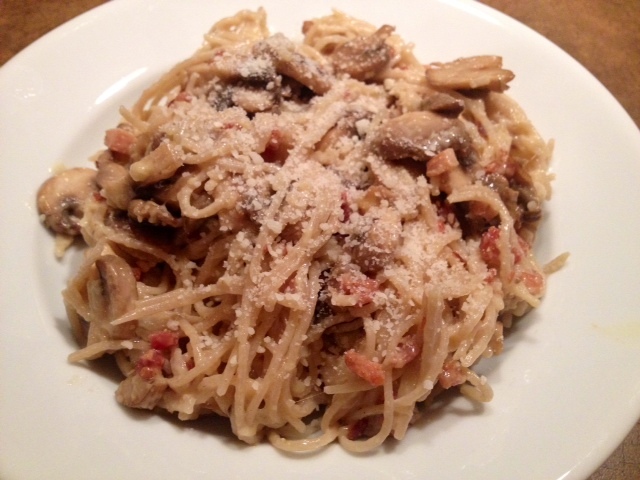 Pasta is the ultimate comfort food for me and spaghetti carbonara is my all time favorite. I had a craving recently and decided to splurge with this creamy, cheesy pasta dish. This recipe is gluten-free, but you could also use regular wheat pasta if you preferred. This totally hit the spot for me. It’s just so, so good! Heat a pan on medium heat and then add the pancetta. 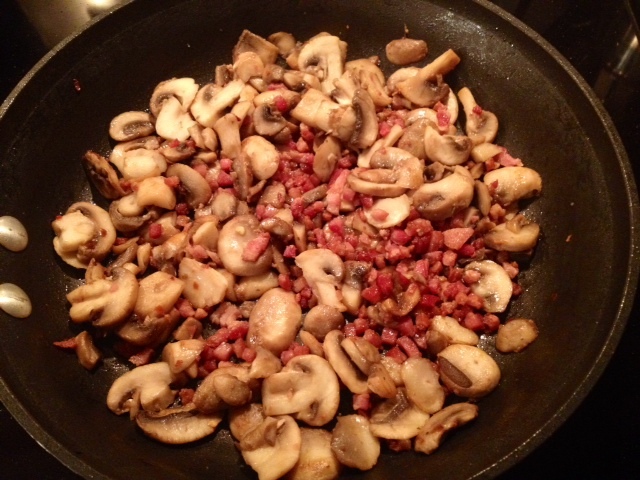 Cook the pancetta until crispy and then add in the mushrooms. You shouldn’t need to add any oil because of the fat from the pancetta. Sauté for about 15 minutes or until the mushrooms have softened. Cook the spaghetti as directed on the package. As soon as you drain the excess water from the spaghetti, add it back into the pot and add in the two eggs and Parmesan cheese. Stir vigorously to combine the egg into the spaghetti so that the heat from the spaghetti cooks the eggs and melts the cheese. Lastly, add in the mushrooms and pancetta, season with salt/black pepper and toss to combine.